Bridal shower gift vs. wedding shower gift? Here’s how to navigate that tricky bridal shower gift etiquette. Bridal shower gift etiquette can be tricky. The pre-wedding event is just a teaser for the big day, so what do you do about a bridal shower gift vs. wedding gift? Do you really need to bring a present to both the pre-wedding events and the nuptials? The answer is yes, but we’ve got some proper wedding gift etiquette tips to help you along the way. Do I Have to Buy a Bridal Shower and a Wedding Gift? Short answer: Yes. Long answer: Proper wedding gift etiquette states you need to bring a gift to both affairs, but that doesn’t mean the two gifts have to be equal in value. In fact, when it comes to bridal shower gift vs. wedding gift, the bridal shower gift should be smaller. It all comes down to breaking down your wedding present budget. 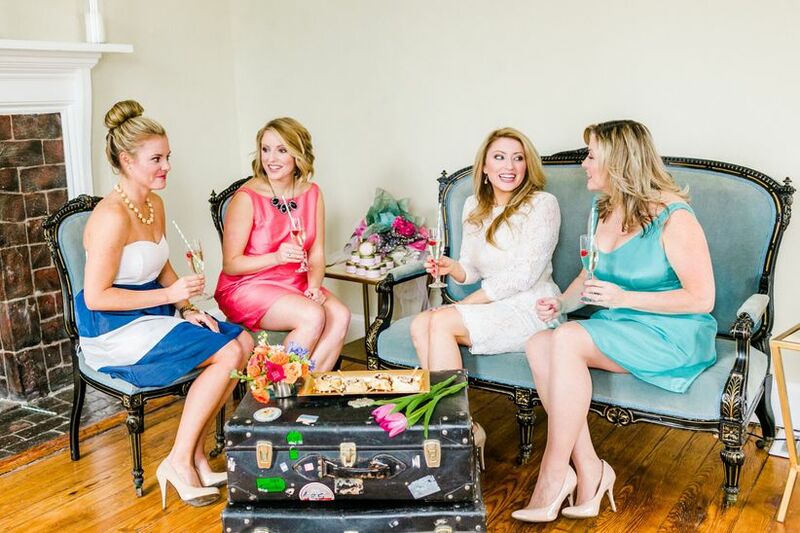 Here’s the key to bridal shower gift etiquette: Think of the 20-20-60 rule. Start by creating an overall gift budget to celebrate the happy couple. Let’s use $200 as an example. Sixty percent of that budget ($120) should be reserved for the wedding gift — a check, that set of China they registered for, or a kitchen appliance. Then, twenty percent ($40) — a set of champagne flutes, a beautiful picture frame—should be reserved for the engagement party and the other twenty percent ($40) — their coffee mugs, the cake servers they want to use on the big day—for the shower. If you are only invited to one pre-wedding event, divide that extra twenty percent between the shower ($50) and the wedding ($130). See: Proper wedding gift etiquette really comes down to math! Do I Have to Buy Off the Registry? 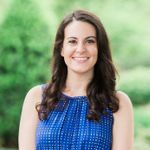 There are differing opinions on this when it comes to bridal shower gift vs. wedding gift, but by standard etiquette, bridal shower gifts should typically come from the registry. Of course, if you are super close to the bride or groom, a small, highly personalized gift, like a gift card to their favorite restaurant or a family recipe book you create, can be just as appropriate for a shower. 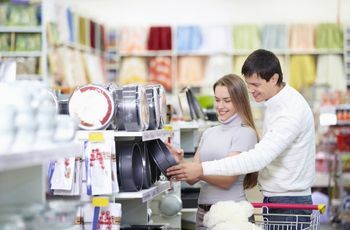 By the time you get to the wedding, sometimes the registry is already bought up. If that’s the case, it’s okay to go off registry, just look at what they did add to their wishlist and try to match their style and taste. If you really can’t think of something to buy, it’s absolutely okay to give money as a wedding gift — or to buy them a fun experience, like a date night at a new hip restaurant, or a night at their honeymoon hotel. 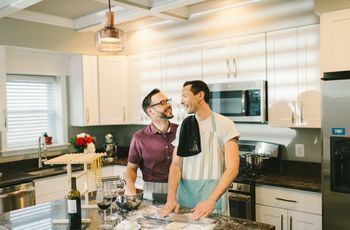 Some couples even create honeymoon funds, cash funds, or a combination of traditional and experiential registries on sites like WeddingWire Registry. How Much Should I Spend on a Bridal Shower Gift? Keeping the 20-20-60 Rule in mind, a bridal shower gift should be about one-third the price of your wedding gift. However, what you spend comes down to your relationship with the bride or groom, and your budget. Typically, shower gifts should be between $25 to $75. If you are closer to the person of honor, consider the higher end of the registry. Wedding gift etiquette says a guest should spend about $50-$150 on a wedding if they’re going solo. Again, it comes down to relationship and budget—and what you’ve allocated in the 20-20-60 rule. If you’re going to a wedding with a date, expect to spend $75-$200 on the gift. And keep in mind, while there is no maximum on a gift, don’t spend less than $50. Can I Give One Big Gift for a Bridal Shower and Wedding? While it’s uncommon to show up to a shower empty handed, or to forgo a gift on the big day, some guests like to give the happy couple one big-ticket gift for all the celebrating, rather than break the gifts into pieces. That’s totally okay — but make sure the couple knows. If you’re waiting for the big day to give them their larger gift, at a minimum bring a card to the bridal shower, with a note that a gift is on the way. 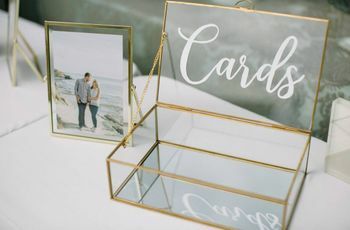 If you want to get it over with, ship the couple the gift before the shower, and mention both events, in a simple way — “Can’t wait to shower you with love and celebrate your big day” — on the card.